As part of activities for Nutrition Month, the Department of Health is inviting the public to a free, five-session gardening workshop every Thursday evening in March. 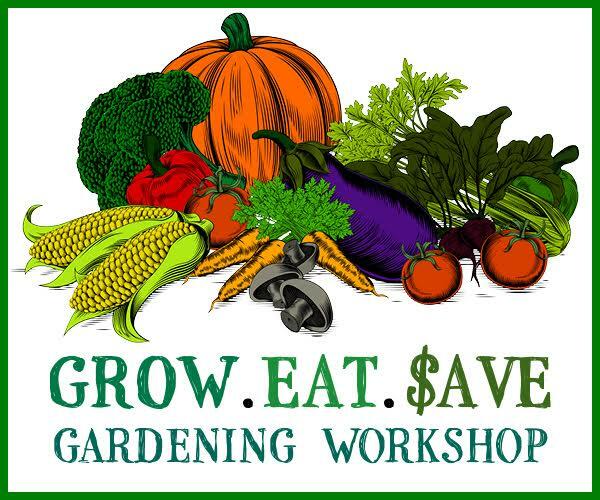 Participants will learn to grow fresh, nutritious food, which will help cut grocery bills. Minister of Health and Seniors, Jeanne Atherden added, “You can learn to grow fresh food, put nutrient-rich fresh produce on your family’s dinner table, and save money at the same time. “Maintaining a garden is an outdoor activity that the whole family can get involved in. Even a relatively small garden space can work”. The course runs on Thursdays from 5:30pm – 6:30pm and the lessons will concentrate on a specially-constructed experimental plot in front of the Hamilton Health Clinic on Victoria Street. The instructor will be Chaplain Kevin Santucci, who is known for combining old-time Bermudian farming methods with square foot gardening to produce oversize vegetables. Sponsors include the Well Bermuda Partnership, BELCO, and the Bermuda Dietitians Association. While the workshop is free, participants must attend all five sessions. Spaces are limited. Register by calling Nutrition Services at 278 6467 or 278 6469 or emailing nutrition@gov.bm by the end of the day, 28 February. Gotta laugh every time someone comes out with these great ‘grow your own food ‘ ideas . Where ? Virtually no-one has a backyard anymore . This isn’t the 50′s and 60′s where most houses had a little land out back somewhere that you could till and farm a little stuff . Everything’s been covered in concrete and condos . And don’t even think that a box garden or a few pots are going to give any meaningful yield . You might get some parsley , a nice lettuce or one tomato after you’ve done battle with the snails and caterpillars , not to mention the wind , but in the end , as hard to believe as it is , it’s still cheaper to go to the store and buy it . We all come from some where in the great evolution ! We do not have to get sick and die early ? If you go back far enough in the evolution of mankind you will discover that we humans are not related to lions, tigers, dogs and cats who are raw meat eaters all having short intestines. We humans are related to cows and horses who are the grazing animals we are the vegetarians all with long intestines. Many year ago as man migrated north away from the equator to colder climates vegetation and plant life including fruits became in short supply, with the aid of fire the hunter/gatherer killed other animals called ‘ Animalbolism’ for food and there is link in the chain that was broken, life expectancy back then was very short but just may be long enough to reproduce. The youtube video “food that kills” proves the point that all meat containing fat in medical circles known as cholesterol clogs arteries and sends people to an early grave, simply because people are slowly killing them selves, its called the ” Heart Attack” the level 10 very painful silent killer. The possibility heart attack can be avoided or delayed by simply changing diet by reducing or eliminating all meat.we eat far to much protein. You do have a choice, it’s up you .this live for to day theory don’t work. Got a small yard ? do something! grow spices in pots to perk up your salads for lunch. learn how to season you food, with out salt,loose weight, live a long and happy life. I think you need to catch up with the latest nutritional research. I agree that many eat too much meat. But high quality (organic/grass fed meats etc.) are party of a healthy diet for most. The true culprit of heart disease is NOT animal fat and those of us up to date on research know this. It is the high carbohydrate diets that are responsible for much of our diseases. Sugar and grains are unhealthy and cause disease processes in the body. Dig a little deeper and be open that you may have outdated misinformation. Also good quality salt is actually good for us so keep salting your homemade food with good quality salt.